Editor’s Note: Quotes were edited for clarity and brevity. 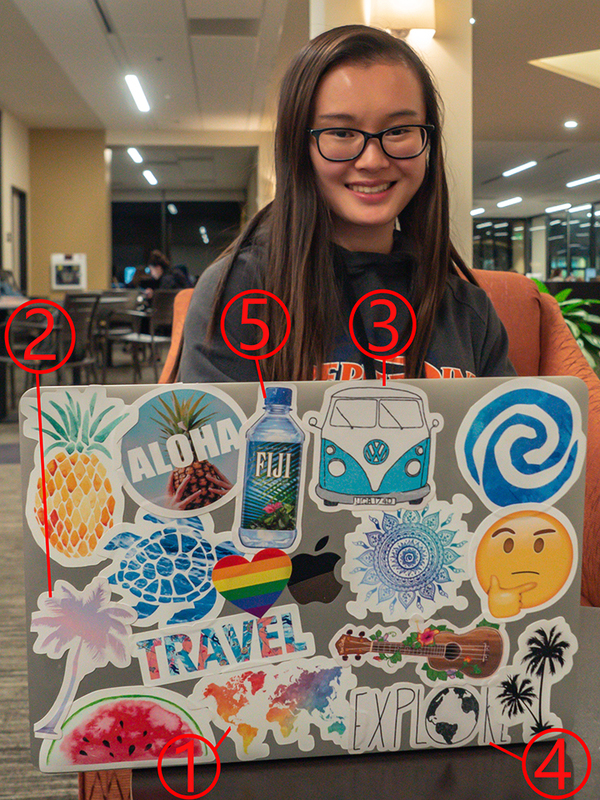 Stickers are bought online, ripped off fruit and found in toy machines. 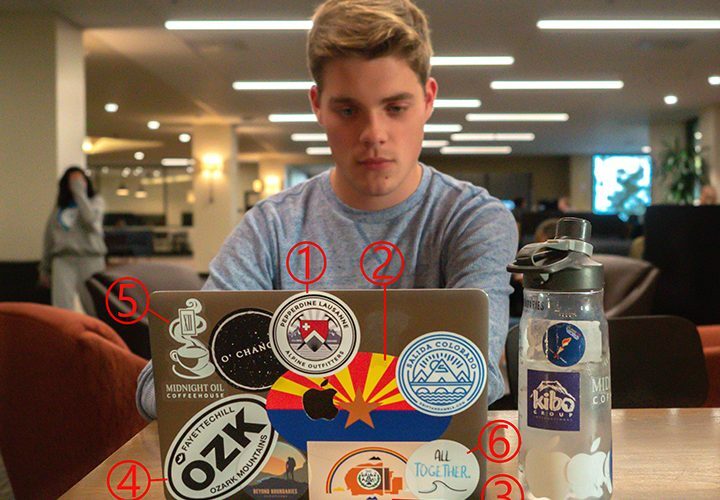 Although simple in nature, stickers have the power to reveal something about the person displaying them. 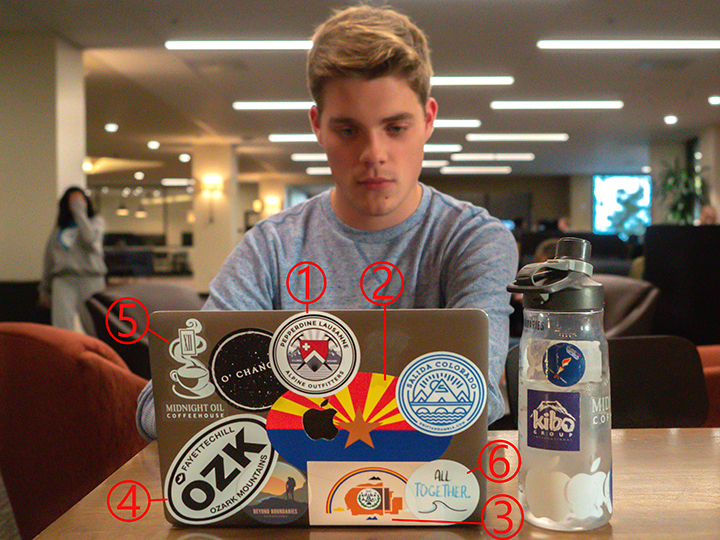 Students don their laptops with stickers collected through their travels and experiences. 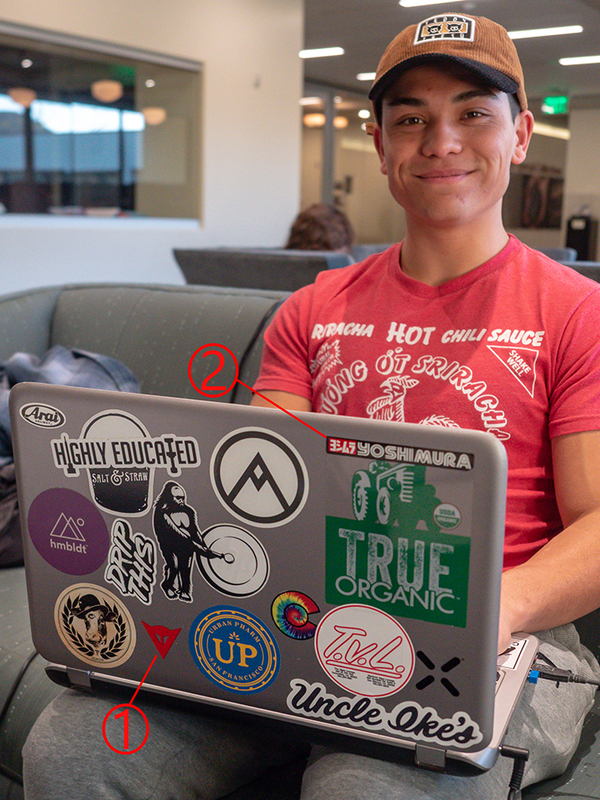 Laptops become an outlet for self-expression — a way to tell others who they are even when they are busy studying or working. 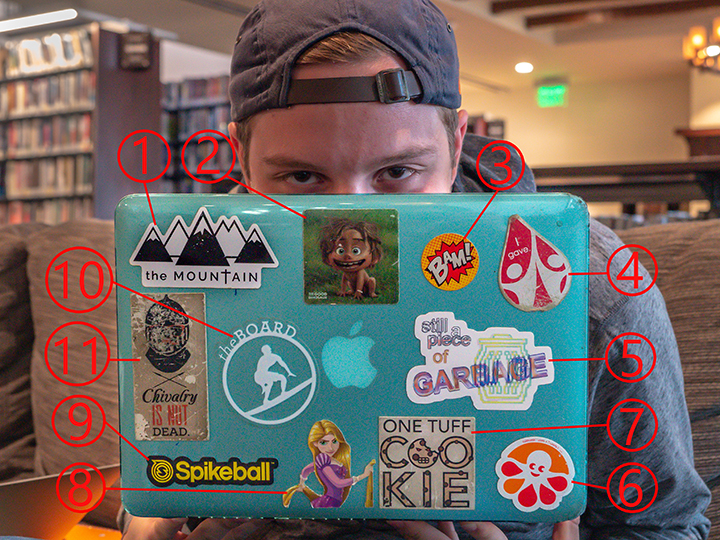 “There is always a story to the stickers,” Buddy Kennedy, junior theatre and media production major, said. 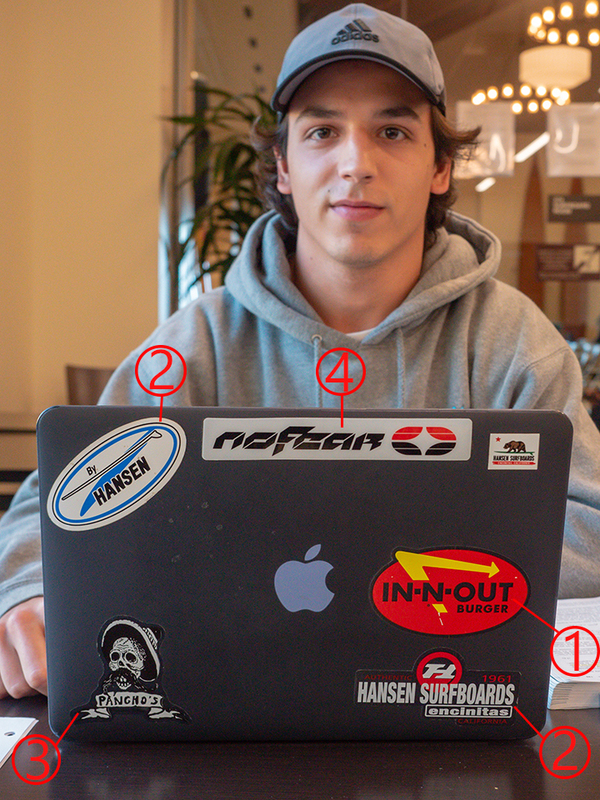 “Before I moved to California, I really just wanted to sort of get in the mindset that I thought California had, which is relaxed, ambitious and just adventurous, so a lot of my stickers represent travel. 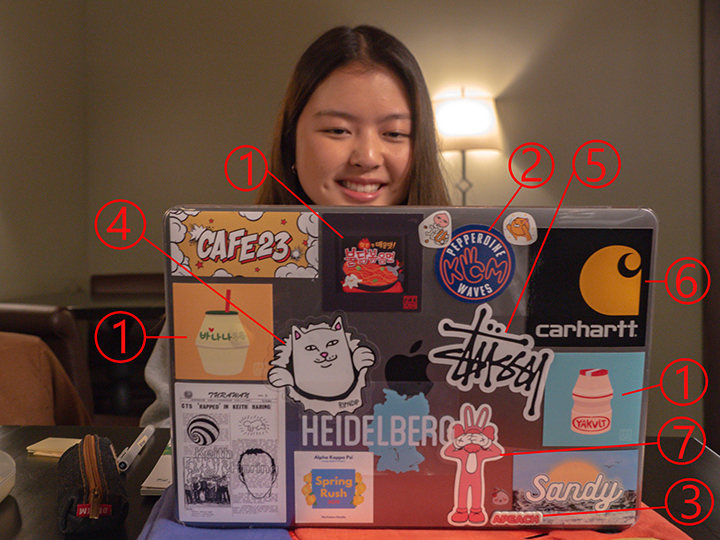 I’ve got a map sticker (1) that represents the world and how I like to travel. I’ve got a palm tree (2) which represents, in my mind, peace and the beach. I’ve got a Volkswagen van (3) which also represents travel and the car that I thought I’d see around California, which I do see. It’s those people who just like to drive around the coast — I really admire that. 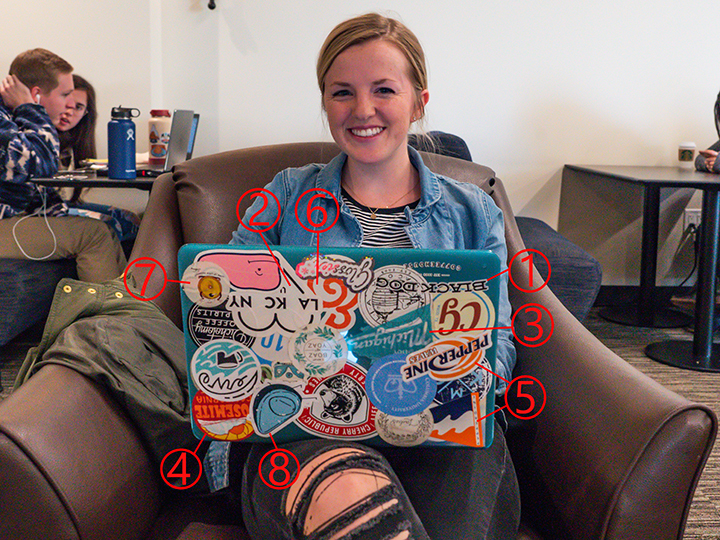 And then I have a sticker (4) that says ‘EXPLORE,’ which is kind of what I want to do. 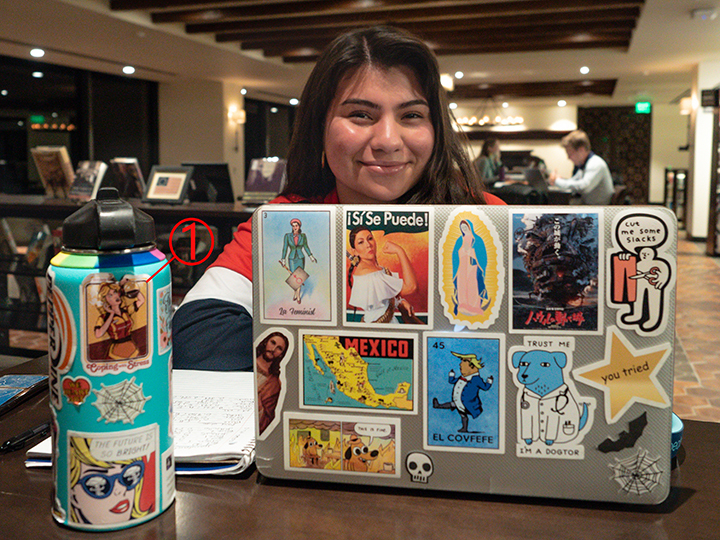 This is all a very stereotypical sticker but it makes me feel like I’m in a good place when I’m studying and I look at. 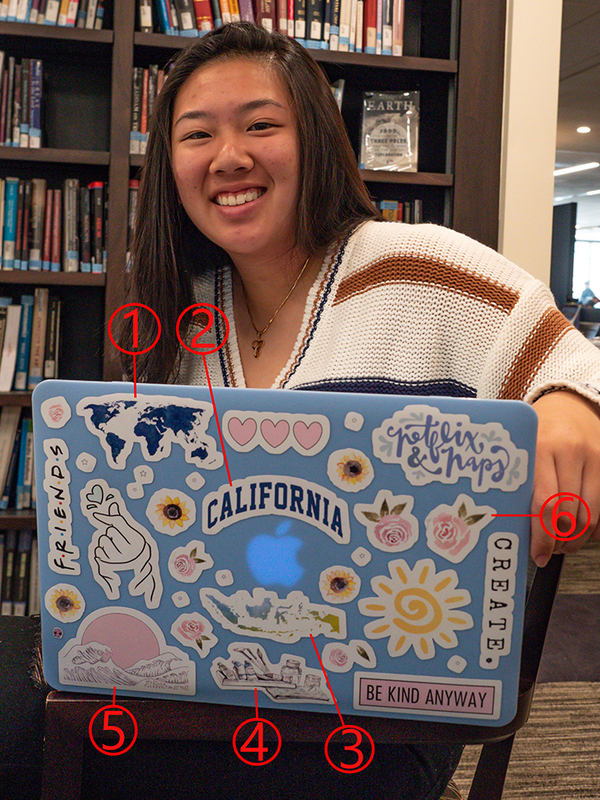 It reminds me that I’m in California, that I’m in a good place. My favorite’s probably the one of the world (1) just because it shows that even though the world is a really big place, this map shows that it’s not actually that far apart in retrospect. 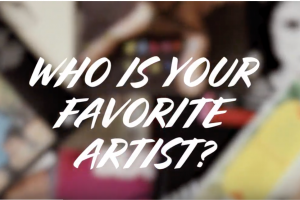 Pepperdine students and faculty share about their favorite music, artists, and what art means to them.